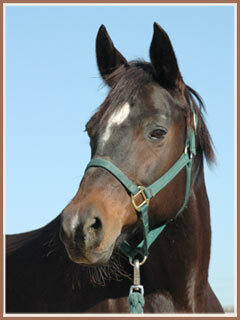 In spring 2004, Persephone joined the ranks of the Sovereign Farm mare herd. 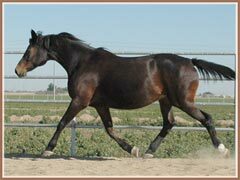 She is a lovely mare with big, supple movement. 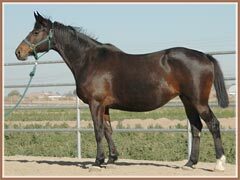 Though an injury as a young horse prevented Persephone from competition, she has become an excellent broodmare. 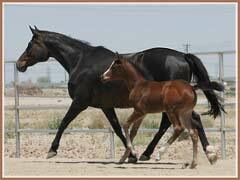 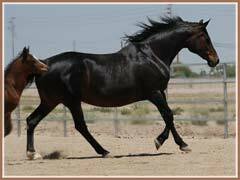 In 2006, Persephone foaled a beautiful filly Phailin, by the ATA approved Arabian stallion Aul Magic. 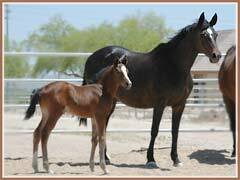 Persephone graced us with another beautiful filly, also by Aul Magic, on May 7, 2007. 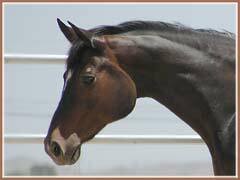 Congratulations to Alexys Wilson, Persephone's new owner!.